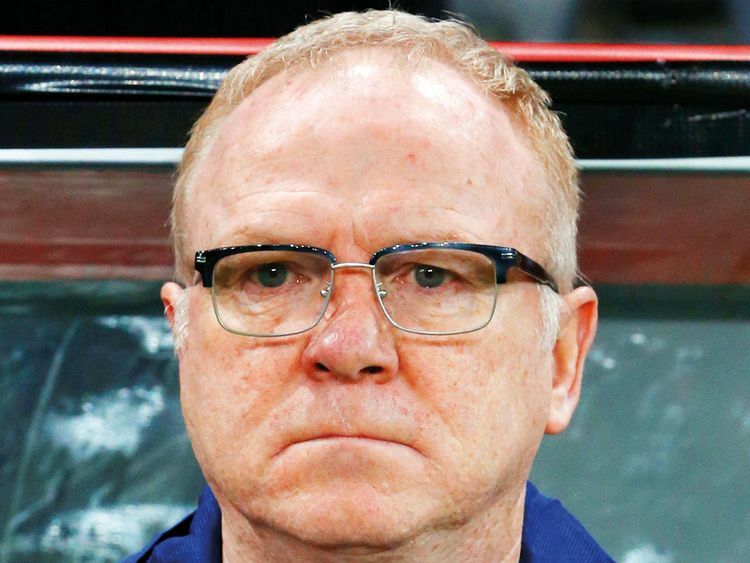 Astana: Scotland manager Alex McLeish shrugged off questions about his future after his team’s abject 3-0 defeat by Kazakhstan in their opening Euro 2020 qualifier on Thursday, saying he is “pretty good at bouncing back”. “I don’t really rank defeats. I just feel in terms of losing then I have to bounce back. I always feel low after a (defeat) but I’m pretty good at bouncing back.” With nine qualifiers remaining for Scotland, McLeish’s team still have time to turn their campaign around. “We have other players to come back, players with more experience who have to come back to the Scotland squad. Obviously we need to have as strong a squad as we can if we’re going to be strong in qualification.” Scotland are already guaranteed a place in the Euro 2020 qualification playoffs because of their progress in the Nations League.